The 10 Best Hot Dog Joints in Maine! Lobster might be the most iconic Maine food, but the Maine red hot dog, or “red snapper” is a close second. The red hot dog is just like a regular beef and pork frank, but it’s red and makes a nice “snap” sound when you take a bite into the natural casing. But hot dogs of all varieties are a big part of a Mainer’s diet. Nothing quite beats a freshly-made frank when you’re really craving one. Here are the 10 best hot dog joints in the state. Voted the best hot dogs in Maine for two years running, Chicago Dogs has an incredible menu of every kind of hot dog you could ever want. With over 14 different kinds of franks, all served on the true Chicago style poppy-seed roll, you can try a new dog every day of the week. The classic “Windy City” hot dog is served with tomatoes, pickles, onions, mustard, green relish, celery salt, and hot peppers. Yum! A true staple of Portland, Mark has been serving up hot dogs for locals and tourist for over 33 years on Middle Street in front of Tommy’s Park. From his tiny red cart, Mark serves up natural-casing steamed hot dogs and Italian sausages with your favorite toppings. Selling hot dogs since 1959, Flo’s Famous Hot Dogs is a family owned and operated business in Cape Neddick. Every hot dog is served with their famous homemade relish. The hot dog stand is opened year-round and if you love the relish so much, you can even buy a jar to take home. Named as one of the top hot dog stands in America by Thrillist, Simones’ has been selling hot dogs since 1908. While hot dogs are the star of the menu, Simones’ serves up a variety of dishes for all taste buds. And, don’t miss “$1 Hot Dog Day” on Wednesdays! With over four hot dog stands throughout the mid-coast region, Wasses Hot Dogs is building a small hot dog empire in the state of Maine. The original Wasses is located on Maine Street in Rockland. Hot dogs are fried on the griddle alongside the must-have “fried onions.” The “Texan” hot dog is amongst the most popular choices. Popular amongst the University of Maine college students, the Family Dog offers up a delicious menu for the whole family. From its classic Vienna beef Chicago-style dog to its Detroit Coney Island dog, you’ll find something you like on this menu. The small restaurant also offers seasonal cocktails and serves Black Bear microbrews and Shain’s of Maine ice cream. Located just a hop, skip, and a jump from Maine’s capital city, Bolley’s Famous Franks serves up classic hot dogs that will live you satisfied. For the price of these dogs, you can buy a whole bunch of them for your friends and family. Who needs to barbecue when you have Bolley’s? Danny’s Dogs has been located in the same spot on the Brunswick Mall for over 30 years. He doesn’t need much advertising online as the locals and college kids have been going to him for years. 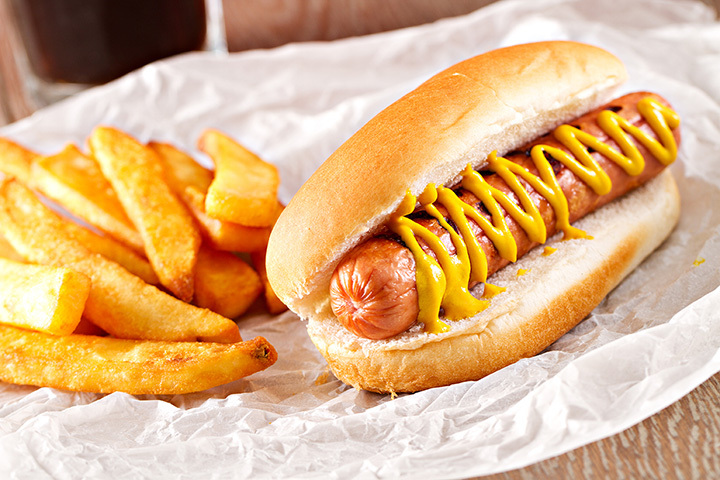 Choose from either steamed or grilled and load up with toppings to create the perfect hot dog. Dunston’s Doghouse is opened seasonally along Sea Street in Boothbay Harbor. With a decent size menu serving up traditional Maine foods, like lobster rolls, hot dogs, and hamburgers, Dunston’s is a great stop for a good value menu that will fill you up before you hit the road again.